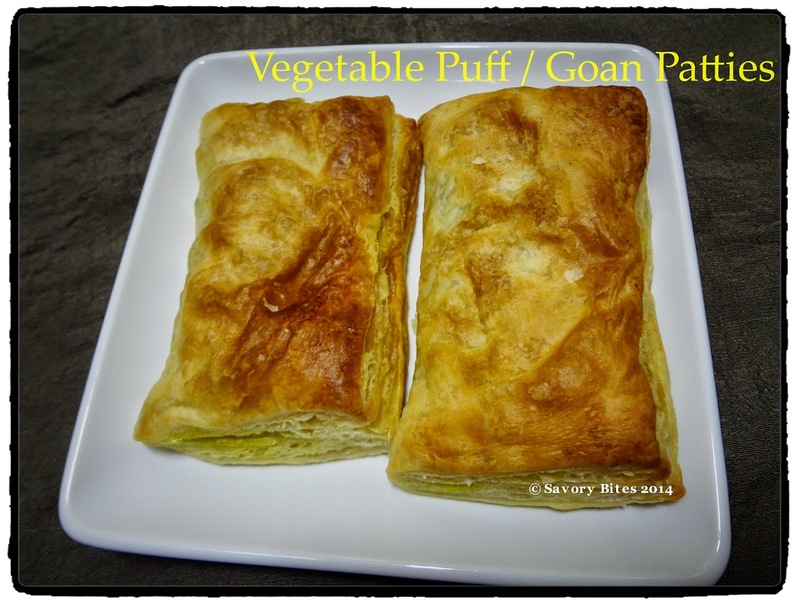 Patties is one of the most famous and delectable snacks of Goa. When i was in Bangalore, I used to miss it a lot,usually in evening during tea time. One day, one of my friends took me to famous Iyengar Bakery, as she wanted me to try out their cakes. 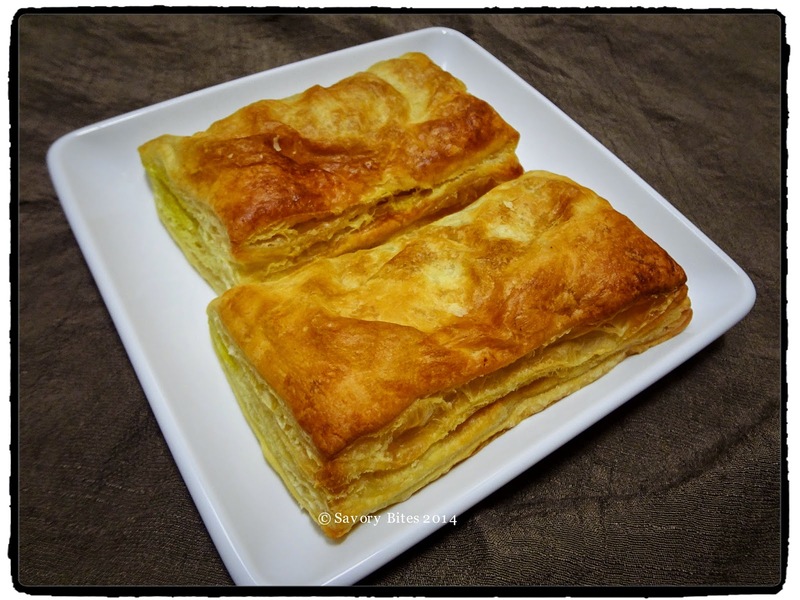 As years passed by I thought I will try making patties/puff on my own,so finally i made them (with a shortcut) and they turned out super yumm :). Prepare the puff pastry sheets as per packet instructions. I thawed them for 15 mins and then brushed them with little water. In a pan, heat oil and add mustard and cumin seeds. When they start spluttering, add chopped veggies. Add salt and sugar, mix well. After 2 mins , add all masala powders mentioned above. Add very little water and let them cook. Now arrange the pastry sheets on the baking tray. 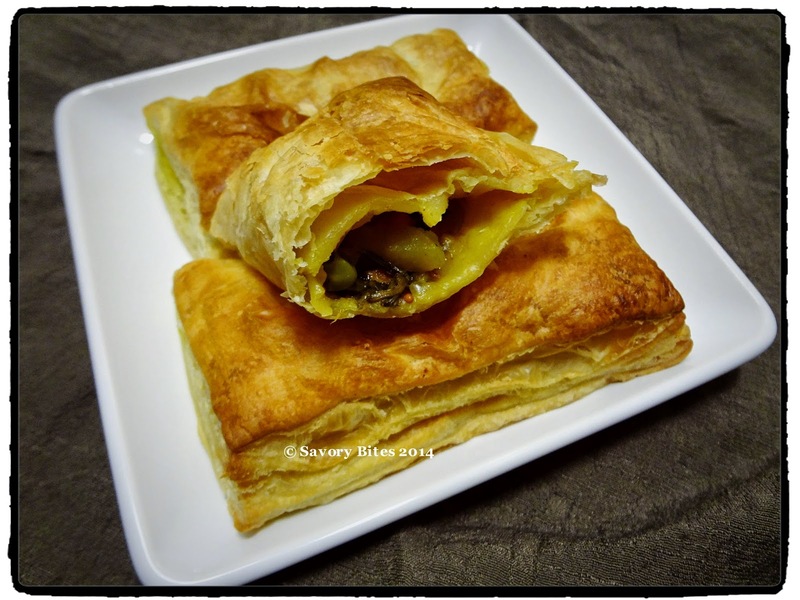 Take a spoonful of the vegetable stuffing and place it on the pastry and fold it.Seal the edges properly. Make sure that the edges wont open up when you bake the puffs. Brush it with little butter on top. Bake it for 15-20 mins or till the puffs are crispy. Enjoy with a cup of hot tea/coffee or with any sauce of your choice.